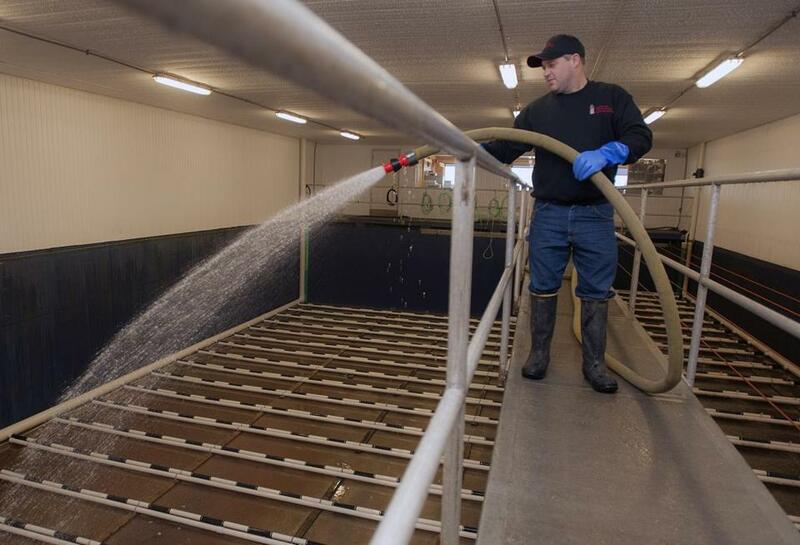 Jeremy Brown, at one of his jobs at a lobster pound in Eastport, Maine, relies on a federal discount to keep his health insurance. Those states, and more than 30 others, face that threat if the US Supreme Court rules against the administration in a pending decision that could upend a major piece of President Obama’s health care law, cutting subsidies to about 7.5 million people. 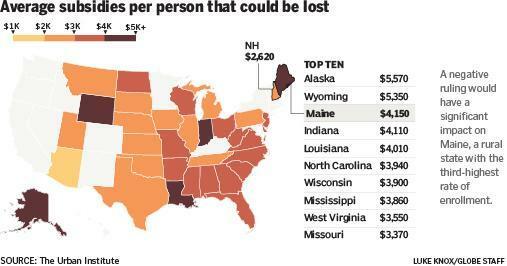 More than 60,000 people in Maine would lose their tax credits next year and 50,000 would wind up uninsured, according to estimates from the Urban Institute, a nonpartisan research organization. 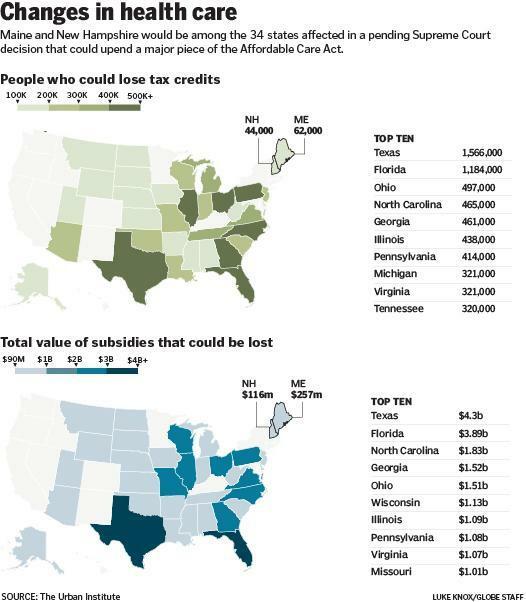 A negative ruling would gut subsidies for 44,000 people in New Hampshire. 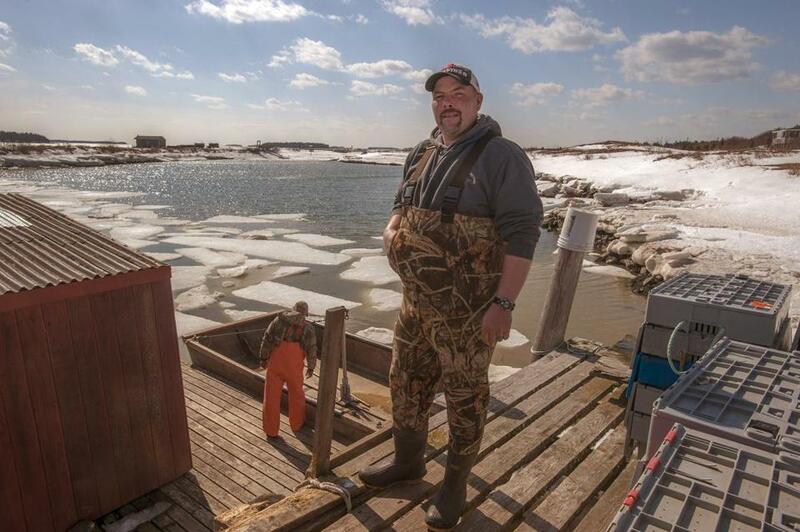 “I don’t see how they can just take it away,” said Brown, 37, who also works at a nearby lobster storage facility. He worries about losing the $460 monthly federal tax subsidy for himself and two children. “I’d have to pick up another job or do something else,” he said. The challenge that the high court heard this month comes down to one technical detail: whether Congress meant to permit federal subsidies only in states that set up their own online health care exchanges. The court appears divided along ideological lines, leaving two potential swing votes from Chief Justice John Roberts Jr. and Justice Anthony Kennedy. Their leanings on this case remain a mystery. The court is expected to deliver its decision by June. If it decides against the Obama administration, the subsidies would be illegal in the 34 states where insurance is offered through the federal government’s exchange. Those states participate in the federal exchange because officials could not make their own state exchanges work or they refused to create their own. Maine, a rural state with the third-highest rate of enrollment in the health program, illustrates the weight of the court’s decision and the political toll it could take on Republicans. Governor Paul LePage, a Republican who opposes the Affordable Care Act, has not proposed any fallback plan if the federal assistance for lower- and middle-class residents ends. That could hurt numerous self-employed workers and an array of families scattered across Maine’s sparse communities. It would have a particular effect on the state’s iconic fishermen and lobster haulers, who tend to be self-employed, work in the country’s second-deadliest industry, and may otherwise skip insurance. Nearly 90 percent of Maine residents who enroll in marketplace plans qualify for a tax credit, which averages $337 a month. Advocates worry that healthy enrollees will drop their coverage without the subsidy, sticking the health insurance plans with a higher percentage of sick people. That would raise the cost and make coverage less affordable, the opposite of the law’s intention. The Affordable Care Act, President Obama’s signature legislative achievement, was enacted in 2010 and GOP lawmakers have worked to kill it since. They object to the cost and consider it governmental overreach. But if the law gets uprooted without a viable replacement, Republicans could face a backlash. Cousens’ weather-beaten face reveals the decades he has spent on the windy waters. His wife uses the catch to make award-winning lobster rolls. A political independent who supports the law, Cousens enrolled in the marketplace and receives several hundred dollars a month in subsidies. So do his three sons, who followed their father into the profession and catch lobsters miles from Justice Roberts’s summer home on Hupper Island. Braden Alley in Jonesport, Maine. Cousens said he recently approached LePage about the issue, but the governor brushed off concerns. His office did not respond to requests for comment. When the current Supreme Court case started moving through the courts last year, LePage warned that Maine could not assume the cost of the subsidies. A spokesman for Maine Insurance Superintendent Eric Cioppa said the department is researching options used in other states. Maine’s sheer pace of enrollment has made the health program difficult to ignore. US Representative Bruce Poliquin, whose district includes Pembroke, was one of three Republicans in February who voted against the law’s repeal. He said he opposed the program but wanted to find a replacement first. Senator Susan Collins, a Maine Republican who has sought to reform the law, said Congress would need to come up with an interim plan. “We simply would be irresponsible to let the insurance of millions of Americans lapse,” she said in an interview. But few lawmakers are sure how to fix it. New Hampshire faces a similar dilemma, although the state has a partnership with the federal government that grants it more control over plans offered on the marketplace. Governor Maggie Hassan of New Hampshire has said she would push the Legislature to let the state set up its own exchange. But even if that is politically workable, the process would be complicated and time-consuming. Vermont and Massachusetts slogged through months of mishaps before their exchanges came close to functioning normally. Maine Community Health Options, a health insurance co-op and major provider in the marketplace, is working with legislators on a bill that would allow the state to establish the exchange but contract with the federal government for the technical assistance it already receives. Three other states use a similar setup. “That is one we have within our control,” said Kevin Lewis, the co-op’s chief executive officer. It is unclear whether that plan would pass Supreme Court scrutiny. Congress could react to the ruling by changing the language of the law, but that would require a bipartisan deal in a session already marred by brinkmanship. Frustrations continue to exist with the law, particularly in Maine’s coastal villages still decked in snow. A crowd of fishermen showed up at the Thirsty Moose Café in Machias on a recent evening for their weekly pool league. Fish paintings lined the wall and a moose head eyed the bar. Some of the regulars did not qualify for subsidies because the lobster season had gone well, so they opted to pay the penalty for no insurance. Others bemoaned the government’s control over their decisions. “It should be a preference,” said Braden Alley, a 39-year-old lobstermen who could not remember his last visit to a doctor. Alley’s wife, Dani, placed her hands over her cue stick and smiled. She signed the couple up last month for discounted insurance through the federal exchange.